The AF NIKKOR 24mm f/2.8D brings speed and performance to every shooting opportunity. Its 84° wide-angle viewing angle on FX-format cameras (approx. 60° on DX-format cameras) offers broad perspectives, and its fast f/2.8 maximum aperture handles low-light situations with ease. 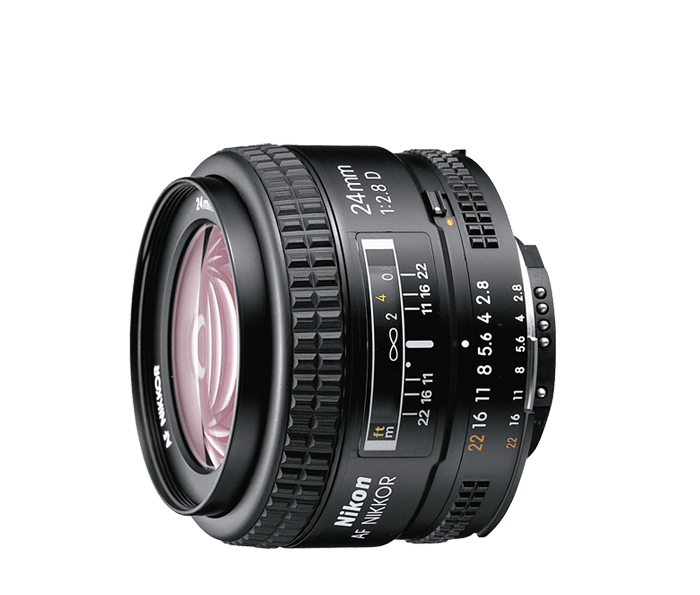 The AF NIKKOR 24mm f/2.8D's superior NIKKOR optics and innovative design reduce coma and other aberrations often associated with wide-angle lenses. Expect edge-to-edge sharpness with every shot.